I wrote last week about how fast Zach's been developing recently, hitting his milestones one after another like there's no tomorrow. It's scary just how fast things are changing, and this week has been no exception as we have started weaning! Zach's tried his first solid food, and I have to say that so far it's been a really fun, albeit messy journey. At almost 6 months old we decided that it was time to give him some proper food and see where we went from there. 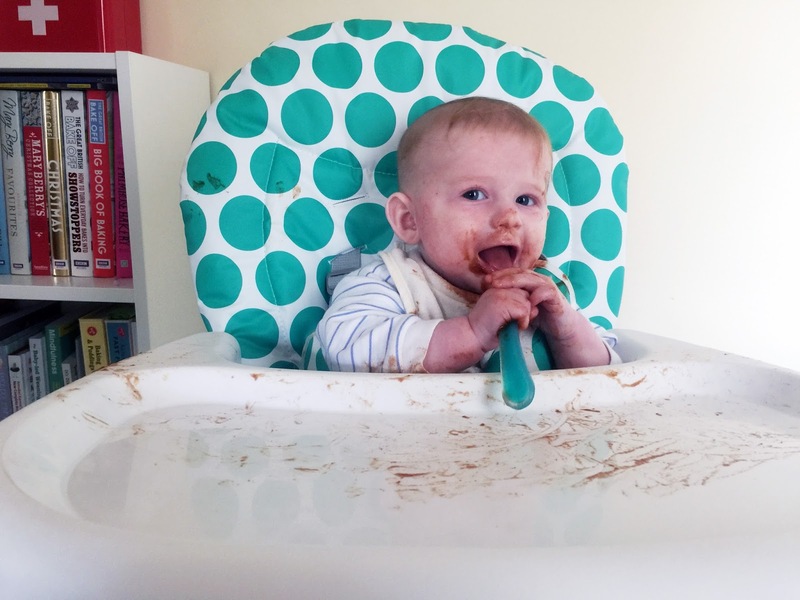 Deciding when to start weaning has been a bit of a rocky road for us, and the information out there is so varied it can all get a bit confusing. All of the food packaging in the shops says that stage one is from 4 months, so we had it in our heads that that was when we would start but the midwife gave us a firm no. We had thought Zach had been showing us signs he was ready for food, but we were told that they weren't the right signs to look for and to wait a bit longer. It never felt like the right time to start, and I always had that feeling in my gut that he wasn't quite ready. That was until this week when everything changed. Zach isn't a big fan of milk, and he never really has been. 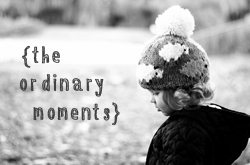 Feeding him has been a battle for as long as I can remember, and it definitely wasn't something I was expecting. He's always been a small baby, but his weight gain has been slowing down recently and at almost 6 months he is the weight of the average 4 month old. He is happy and healthy, and still developing normally, so we haven't been too worried. But knowing that he is now having food on top of his normal amount of milk is reassuring, and hopefully we'll see a bigger weight gain next time he is weighed. On Tuesday evening we were sat eating dinner together and Zach started trying to grab our food off our plates as usual. He's been doing it for a while now, and we've been putting him in his highchair and letting him play with bits of our dinner to get him used to touching food. For some reason something clicked and we decided to whip up a little baby rice and see what happened. 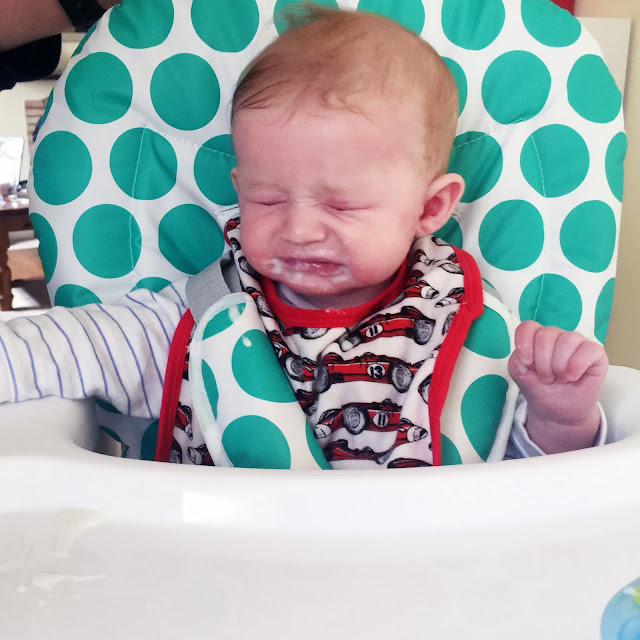 He knew what to do straight away and sat there opening his mouth for each spoonful, even though he was definitely not a massive fan of the taste! The next day we tried some puree which was a massive hit, as well as some rusks as finger food. 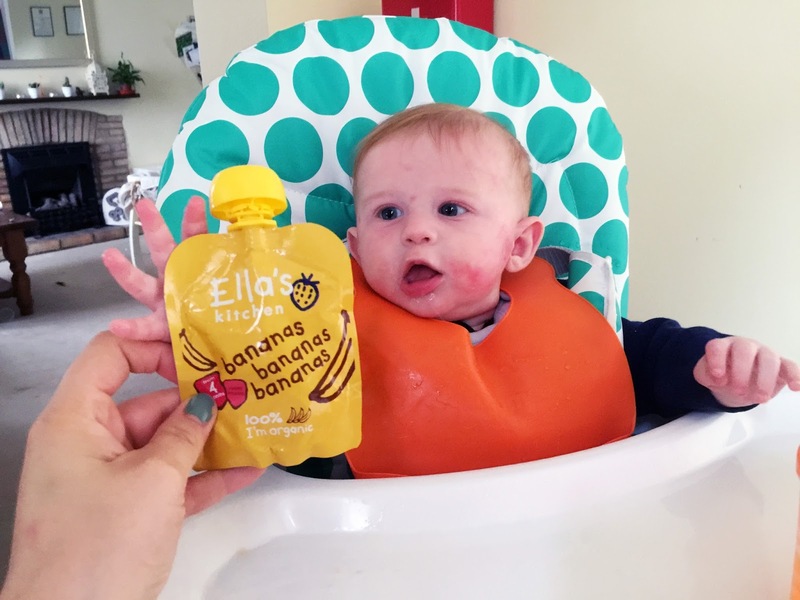 He has been loving the different flavours he's tried so far, and is now having puree for breakfast, lunch and dinner on top of his milk! It's so nice to see him enjoying food and hopefully it continues as smoothly as it has begun. We plan to continue with puree for a little while, gradually making it chunkier before moving on to baby led weaning, but essentially will just see how Zach gets on and go with what suits him the best!